It's time to play on the island of Oahu. Grab a board and hit some of the world's most famous stretches of sand and surf, like popular Waikiki Beach and North Shore. Browse the latest designer fashions in Honolulu or pick up something a little more local in one of the relaxed towns around the island. Hike the famed Diamond Head trail for some serious views or honour and remember the past at Pearl Harbor. Immerse yourself in Hawaii's spirited, irresistable culture at a festive luau. 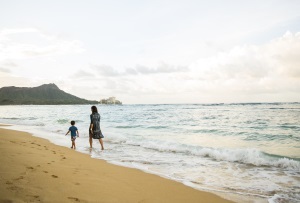 With lots of sunshine and mild temperatures year-round, you'll never want your Oahu adventure to end! 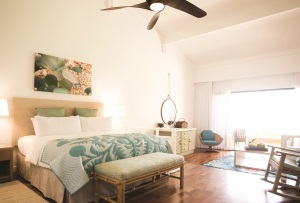 The Modern Honolulu is a breath of fresh, salty air. Oceanfront on Duke Kahanamoku Beach in Waikiki, this idyllic beach hugs a translucent turquoise saltwater lagoon fed by underground springs. 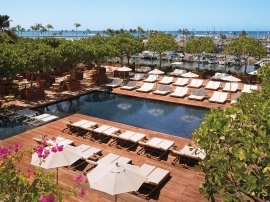 The refined Modern Honolulu offers a variety of fresh, artisanal and expertly curated dining options, including the Morimoto Waikiki, the hotel’s signature restaurant designed by premier Iron Chef Morimoto, lounge-inspired al fresco spaces, 24-hour room service, a full-service spa, fitness area, outdoor yoga, a family-friendly pool and an adults-only rooftop pool. 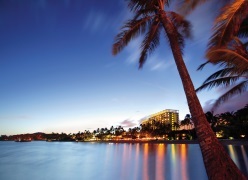 Streets filled with mansions, home to some of Honolulu’s wealthiest residents, Kahala is Waikiki’s next door neighbour. 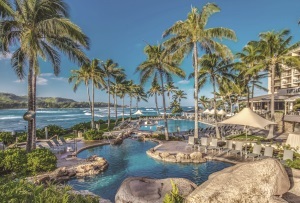 The beachfront Kahala Hotel & Resort features a private lagoon resident dolphins call home, a full-service spa, children’s programs, nightly entertainment on the patio, daily activities including introductory surf lessons, a variety of dining options including local island cuisine, Italian, a seaside grill and 24-hour room service. Waikiki Beach is in the heart of Honolulu. It’s where Hawaii put surfing on the map, the local gathering and meeting place, and never has a shortage of things to see and do nearby. 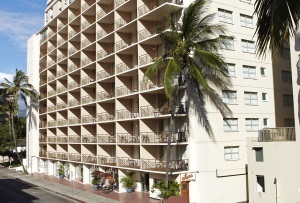 The Embassy Suites Waikiki Beach Walk is less than half a block away from Waikiki Beach and features an open-air Grand Lanai, perfect for sunbathing, people watching and relaxing by the pool. In the evenings, enjoy weekly live entertainment and complimentary snacks and drinks. A legendary surf mecca and home to pro-championship competitions recognised worldwide, the North Shore is the best place to watch pro surfers hang ten. Turtle Bay sits beachfront facing the stunning North Shore and features two onsite 18-hole championship golf courses designed by Arnold Palmer and George Fazio, a spa, salon and fitness area with sweeping panoramic oceanviews, a surf bar showcasing live entertainment, dining options including an organic, local, farm-to-table restaurant and weekly luaus. 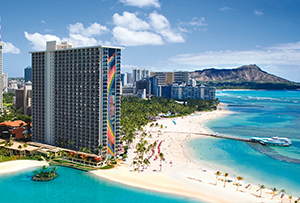 The heart of Honolulu, iconic Waikiki Beach is the best place to people watch, sunbathe and learn to surf. The father of modern day surfing, Duke Kahanamoku, stands in bronze statue formation, encouraging visitors to embrace the spirit of this legendary beach. 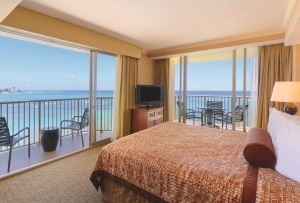 The beachfront Outrigger Reef Waikiki Beach Resort features a variety of dining options, including an open-air oceanfront seafood restaurant, full bars by the beach and pool, Hawaiian cultural activities onsite like hula lessons, ukulele lessons and live music. Shop, eat and people watch on Waikiki Beach. Indulge in some sun and surf, wander nearby and check out the wildlife at Honolulu Zoo or go for a hike up Diamond Head. 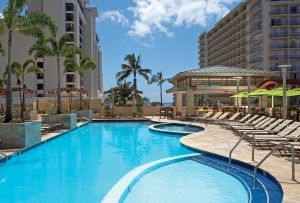 Waikiki Beach Marriott Resort is half a block away from Waikiki Beach and features a full-service spa, salon, fitness area, two heated pools, a variety of dining options including seafood and sushi, a steakhouse and a poolside restaurant with a full bar and live nightly entertainment. Waikiki Beach is where surfing integrated into popular culture and where people gather to start their Hawaiian adventure, whether it's to nearby Diamond Head, the Honolulu Zoo or the Waikiki Beach Walk. The Aqua Waikiki Pearl is two blocks away from Waikiki Beach and takes pride in offering pet-friendly amenities. For an extra fee, your pup is welcome to stay and enjoy the treats and service. Enjoy the nearby sights and shopping and unwind at the onsite sports bar at the end of the day. The magic of Disney is alive in Hawaii. 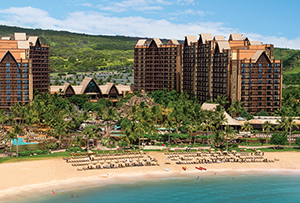 The Aulani Disney Resort & Spa, less than an hour from Honolulu in Ko Olina, is an enchanting oceanfront paradise on Aulani Beach. 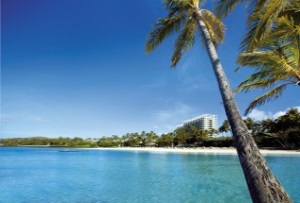 This resort features a saltwater snorkelling lagoon filled with schools of colourful fish and coral reef to explore, pools, a teen spa, hula dancers, Disney characters, dining options and movie nights under the stars. 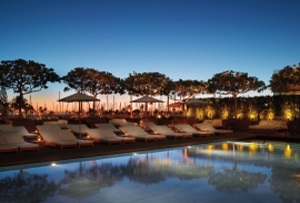 And just for the adults, there is a tranquil beachfront infinity pool, full-service spa, lounges and pool bar. 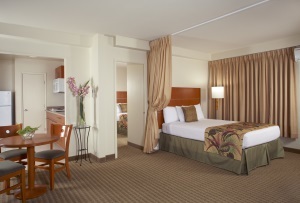 Waikiki Beach’s Hilton Hawaiian Village is a true marvel and destination on its own. Set in a beachfront wildlife sanctuary with botanical gardens, ponds and waterfalls, the Hilton Hawaiian Village features five pools, including the largest beachfront pool on the island, a variety of 20 dining options featuring teppanyaki, steak and seafood, the largest full-service spa in Waikiki, exclusive concierge services in one of its three towers, children’s programs and daily activities ranging from hula and ukulele lessons to movie nights and surf lessons. Unlock your destinations must-see attractions and wonders with a sightseeing tour that matches your style. From private tours exclusive to Flight Centre to group excursions, there is a local experience for every customer and budget. 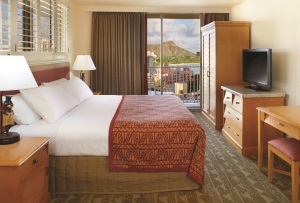 Experience Hawaii's best-kept secret with awe-inspriring panoramic views of Diamond Head, Oahu's southern coast, and Waikiki Beach. A luau like no other, away from the bright lights and tourist masses of Waikiki, with VIP extras such as private transfers, front row seating and complimentary drinks, this is quite possibly the best luau ever. Get to know Oahu from the inside out with an all-day private tour that circles the entire island, and covers some of Oahu's best sightseeing spots. We've hand-picked some of Oahu's greatest hit's exclusively for you, from the famed North Shore to the breathtaking Pali Lookout. Venture to the most celebrated surf breaks in the world-Waimea Bay, Sunset Beach, and the spectacular Banzai Pipeline-where, during peak winter months, waves can exceed 50 feet! You'll stop in the picturesque surf town of Haleiwa and enjoy lunch at a local stop. Embark on a scenic hike at Hawaii's most recongnized land mark, Mount Leahi, more commonly known as Diamond Head. Get to know this extinct volcanic crater known for its historic hiking trail, stunning coastal views, and military history, with a trained nature guide. Get a Certificate of Achievement to prove that you successfully made it to the 763 foot summit. Get to know Hawaii from the inside out with an all-day tour that circles the entire island, covering 120 miles of Oahu's best sightseeing spots. From celebrated surf spots to mountain ranches and pineapple plantations, take a glimpse into the Hawaii of long ago. Visit one of America's greatest tributes to those who died in service of their country - the Arizona Memorial. Resting atop the water off the tip of Ford Island in Pearl Harbor, the Memorial spans the length of the actual USS Arizona beneath the waves. Relive the events of that fateful December 7 morning in 1941 through fascinating presentations and detailed first-hand accounts. Plunge into a world of enchanting beauty aboard the Atlantis Submarine where you'll dive more than 100 feet below the surface. Relax in the comfortable air conditioned cabin and watch the breathtaking underwater seascape unfurl before you through large portholes. Schools of exotic fish, moray eels, giant sea turtles and mysterious sharks are just some of the magnificent marine life you might see along the way. Step back into Island history as you go on an early morning tour that includes reliving the fateful morning of December 7, 1941. See rare footage of the attack on Pearl Harbor and visit the Arizona Memorial Museum. Set out on a scenic city tour of Central Oahu. Discover a world of contrast as you tour Honolulu's bustling Downtown area and historic Chinatown right next door. Celebrate the honor, valor and courage of the U.S. Servicemen who served during World War II on this special Stars and Stripes tour. It's a nostalgic journey to the two historic places that marked the beginning and end of the war for the United States - Pearl Harbor and the USS Missouri. From Pearl Harbor, you'll take a drive through metropolitan Honolulu and up to the Punchbowl Crater for a drive through the National Ceremony of the Pacific. After enjoying the serenity and spectacular view atop Punchbowl, you'll wind through Downtown Honolulu for a cruise through its many highlights. Hawaii's best snorkel. A tropical afternoon of both dolphin watching and snorkeling in paradise with a BBQ lunch! See wild dolphins as you enjoy a delicious lunch freshly grilled onboard. Explore the beautiful underwater world of Oahu's best snorkeling spot. Be pampered on this Five Star Sunset Dining & Jazz Cruise! Your evening features a "Hawaiian Bellini" greeting at the exclusive Captain's welcome reception on the Star of Honolulu's top deck. Then it's bon voyage as you dine on a seasonally inspired 7-course French style dinner with live Maine lobster and prime tenderloin of beef main entrees, served at your own private table. Enjoy super premium beverages with after dinner drink cart service and dance to live Jazz favorites performed by some of Oahu's top artists. Located on Oahu's northeastern shore, Kualoa Ranch rests at the base of two spectacular mountain ranges and has been the backdrop of many Hollywood blockbusters. With the magnificent Ko'olau Mountains as your backdrop, it makes for the perfect setting for horseback tours, ATV tours, jungle expedition tours, a movie set tour and more! Family owned and operated Kualoa Ranch has a mission to be a role model as stewards of the land by preserving, protecting and enhancing its natural beauty and culture. Internationally acclaimed illusionist and recipient of the 2004 Merlin Award, John Hirokawa takes you on a roller-coaster ride of amazing feats and dazzling illusion. This theatrical extravaganza of music and enchantment puts you in a world of electrifying special effects and state-of-the-art lights and sound. 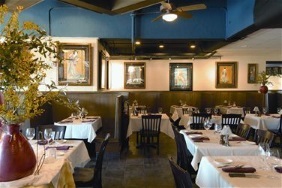 Enjoy as show only or add on a dinner package. Experience the "great outdoors" of Hawaii on two feet and two wheels. You'll be whisked to an exclusive two-mile private hiking trail in beautiful Manoa Valley to enjoy a brisk hike through the rainforest and follow a mountain stream past a hidden bamboo forest to the base of a cascading 200-foot waterfall. After your hike, you'll be taken to the top of a volcanic cinder cone where you will coast downhill on comfortable Kona mountain bikes. This popular Hawaiian attraction whisks you to a private 12-acre beach estate for a sensational evening of traditional Hawaiian food, entertainment and fun. Set in a secluded cove complete with native villages and beautiful sunsets, this Luau brings out the true Aloha spirit. As the sun melts into the sea, feast at a traditional Hawaiian luau. Sit back and be amazed as our award-winning performers entertain you with an unforgettable display of songs and dances of Hawaii and Polynesia. Nestled along the island's scenic North Shore, Polynesia comes alive in a celebration of song, dance and culture this is one must-see event. Travel across the South Pacific in a day, as you journey through six authentic Polynesian island villages - Tahiti, Tonga, Fiji, Samoa, New Zealand and Old Hawaii. Meet real Polynesian Islanders and see them demonstrate the arts and crafts of their native lands. Indulge in a sumptuous luau dinner buffet as the evening ignites with an extravaganza of song and dance. Legends in Concert Waikiki presents Rock-A-Hula, a dazzling, live concert quality experience from yesteryear to today. Rock-A-Hula appeals to a wide audience that timelessly extends beyond any international and cultural borders. The all star cast portrays legends such as Elvis, Michael Jackson, Lady Gaga, Elton John and others. Enjoy the value-for-money comfort and options of economy class. Stretch out with extra legroom and enjoy added in-flight experiences. Why Choose a Sun Escape? Future Travel Voucher Receive $50 towards your next Getaway, Escape, EuroBreak or Journey with us - ‘til next time! Now simply complete the below form and an Escapes expert will provide a custom quote on your custom package shortly.